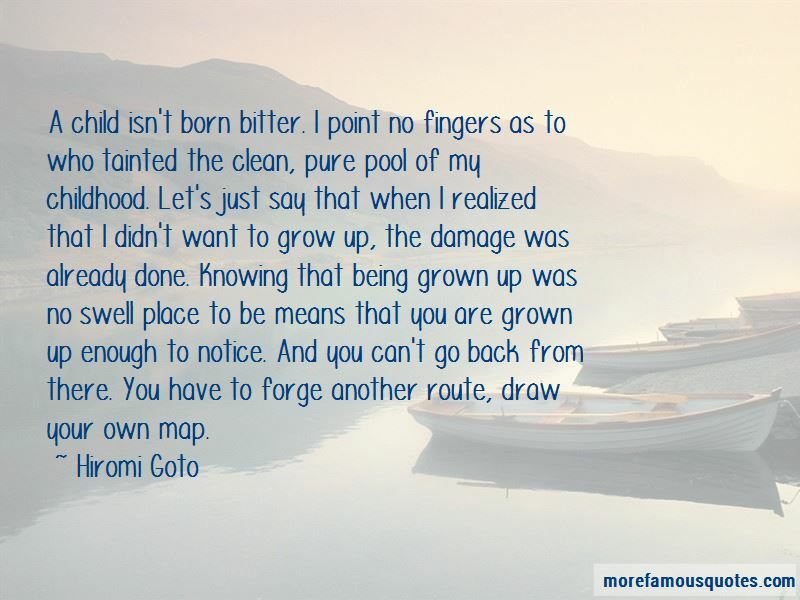 Enjoy the top 5 famous quotes, sayings and quotations by Hiromi Goto. She was responsible for the things she chose. That's all. She almost managed a tiny smile. It was simultaneously an incredible responsibility and almost nothing at all, she thought wonderingly. “I mutter and mutter and no one to listen. 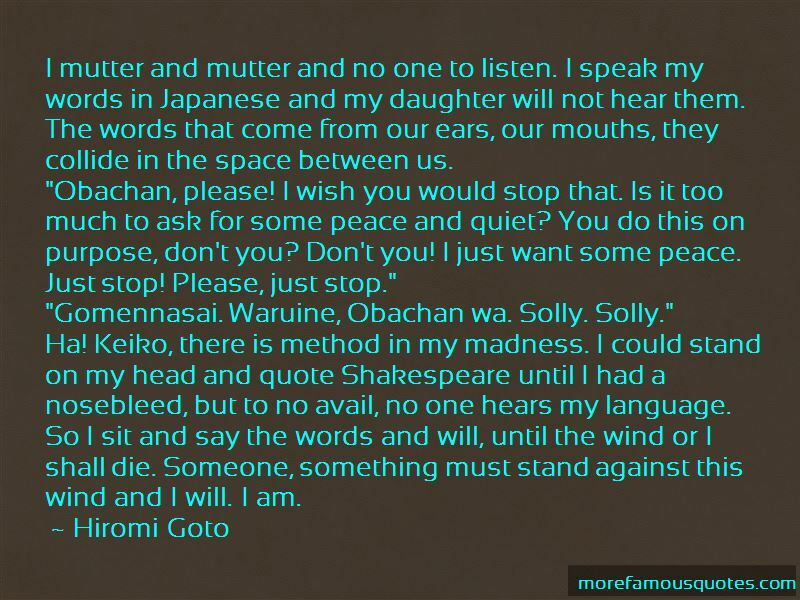 I speak my words in Japanese and my daughter will not hear them. The words that come from our ears, our mouths, they collide in the space between us. "Obachan, please! I wish you would stop that. Is it too much to ask for some peace and quiet? You do this on purpose, don't you? Don't you! I just want some peace. Just stop! Please, just stop." "Gomennasai. Waruine, Obachan wa. Solly. Solly." 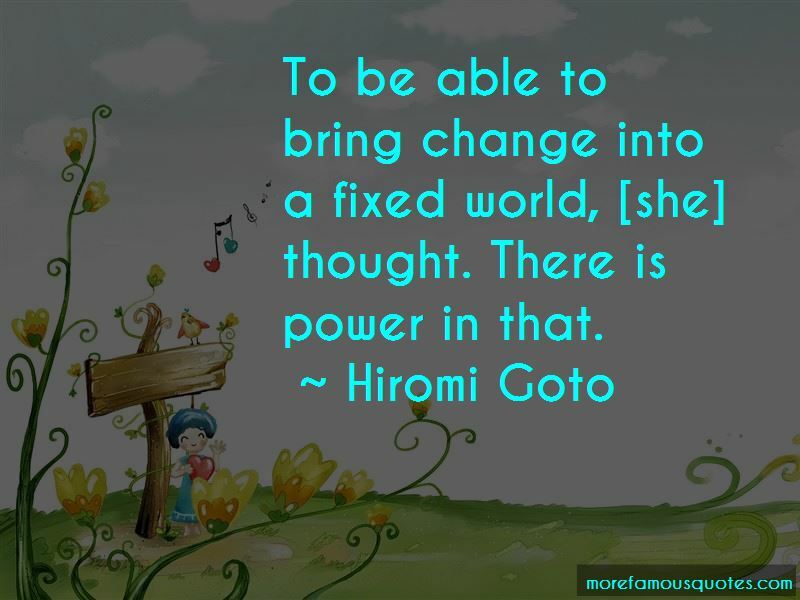 Want to see more pictures of Hiromi Goto quotes? 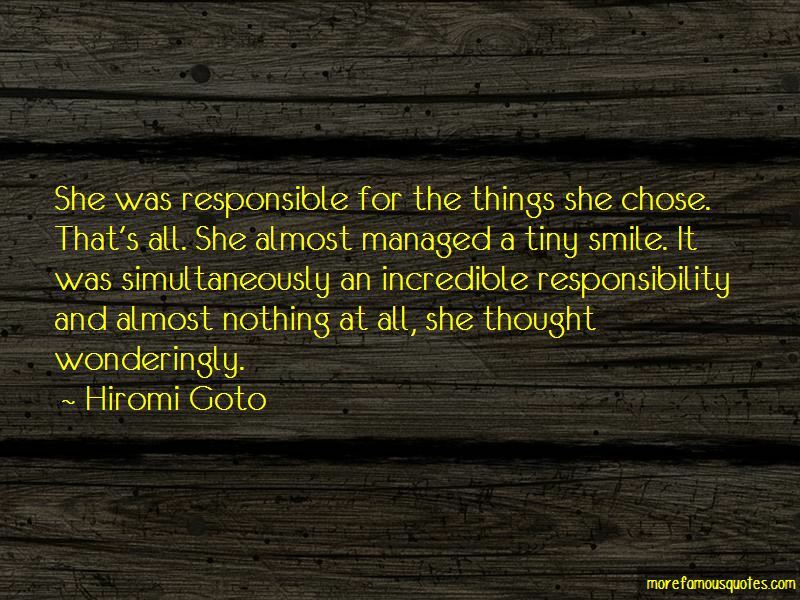 Click on image of Hiromi Goto quotes to view full size.